THE NEW MINI ADVANCED CAR EYE 2.0.AVAILABLE FROM £475 (INCLUDING VAT & FITTING). 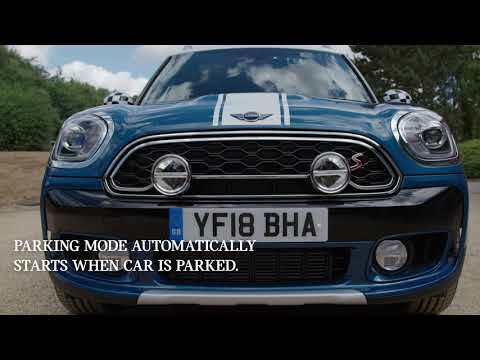 For a camera that doesn’t miss a trick, look no further than the new MINI Advanced Car Eye 2.0. It’s the official full-HD camera for MINI, designed to record detailed videos of driving situations and incidents. To give you extra peace of mind, it can also operate for up to 24 hours while your car is parked. MINI’s official full-HD camera, designed to suit the iconic style of any MINI. Records detailed videos of driving situations and incidents. Uses light-sensitive sensors to ensure excellent quality, day or night. Uses both proximity and vibration sensors to rapidly detect any possible incidents, prompting the camera to start recording immediately. A smart GPS receiver enables precise recording of the location and speed. Can distinguish between the everyday and the unusual to avoid the recording of unnecessary footage. All videos are saved automatically to a 32GB SD card. When in park mode, it can operate for up to 24 hours. The New MINI Advanced Car Eye 2.0 is available from £475.00 (including VAT and fitting). To purchase or to find out more, please call your local Marshall MINI Centre.